Confession: I made this snacky, breakfasty buckle cake a year ago, but kept it entirely to myself — that is, I forgot to share it with you. …Also I had four spoonfuls of ice cream for breakfast this morning (Ben & Jerry’s Peanut Butter Cup). Except maybe it was six spoonfuls. Oops. I’ve been experimenting a bit with buckwheat as of late; I made buttermilk buckwheat pancakes just last week with my tiny-faced students, and then there’s this buckle. 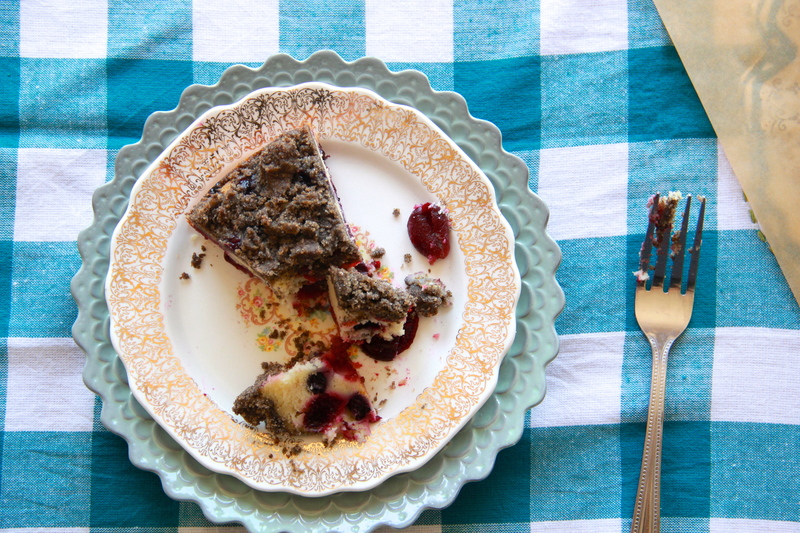 A buckwheat berry buckle. (Alliteration is fun.) Turns out I really like the rich, delicate, nutty flavor that buckwheat flour contributes to baked goods – it seems to elevate things, somehow. I was intrigued to learn that using buckwheat flour, even just the scant quarter cup called for here, darkens the batter (whether pancake or cookie or buckle) pretty significantly. So it doesn’t make for the prettiest crumb topping at this berry buckle ball — but I happen to know that you’re not into artificial, skin-deep beauty. You wait to make judgements until you’ve gotten to know what’s inside. And in this case? What’s inside is cake. 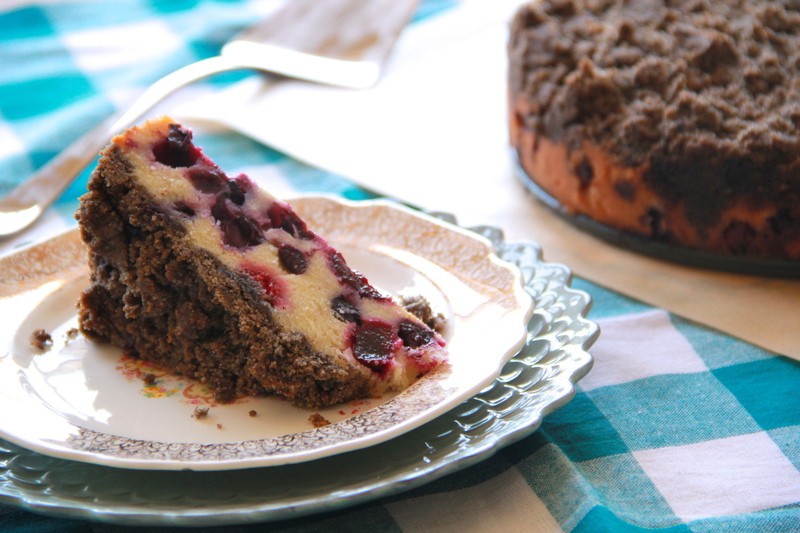 Deeply-purplish and royally ruby-splotched, berry-laden cake. Grab a fork and a cup of creamy coffee! It’s berry baking time. Buckles are named as such because the rich batter, so heavy with fruit, “buckles” as it bakes up in the oven – there’s almost as much berry as there is cake here. 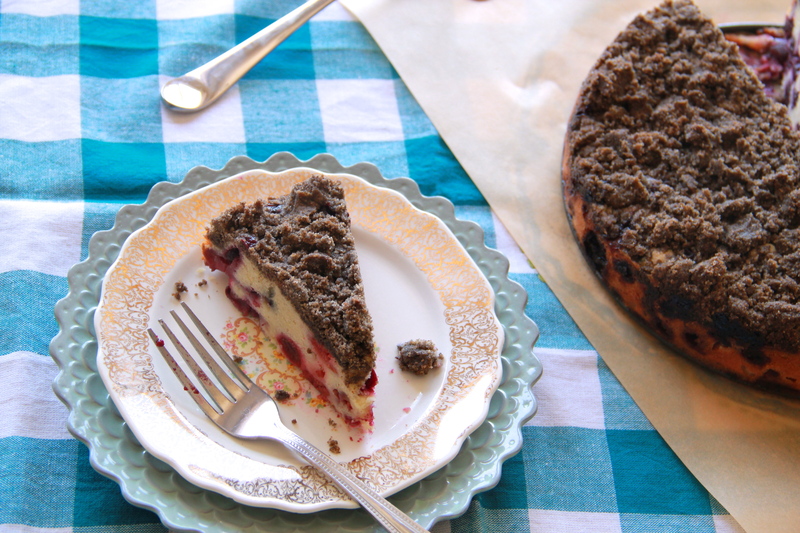 It’s reminiscent of coffee cake and is as great for breakfast as it is come 3pm snack time. Preheat the oven to 350 degrees F. Grease a 9-inch round springform pan, and line the bottom with parchment paper. Grease the parchment, too. To make the streusel, combine the flours, sugars, cinnamon and salt in a large bowl, or in the bowl of a stand mixer fitted with a paddle attachment. Add the butter and work it into the dry ingredients, either with your fingertips or by beating it in with the paddle attachment; work the butter until the mixture looks like dark, wet sand. Set streusel aside. To make the cake, whisk the flour and baking powder together in a small bowl, then set aside. In a larger bowl (I used the bowl of my stand mixer), beat together the butter, sugar, salt and lemon zest until light and fluffy. Beat in the vanilla. Add the eggs one at a time, waiting until each is fully incorporated before adding the next. Add the flour mixture all at once, and mix gently until combined. The batter with be quite thick, almost like cookie dough. 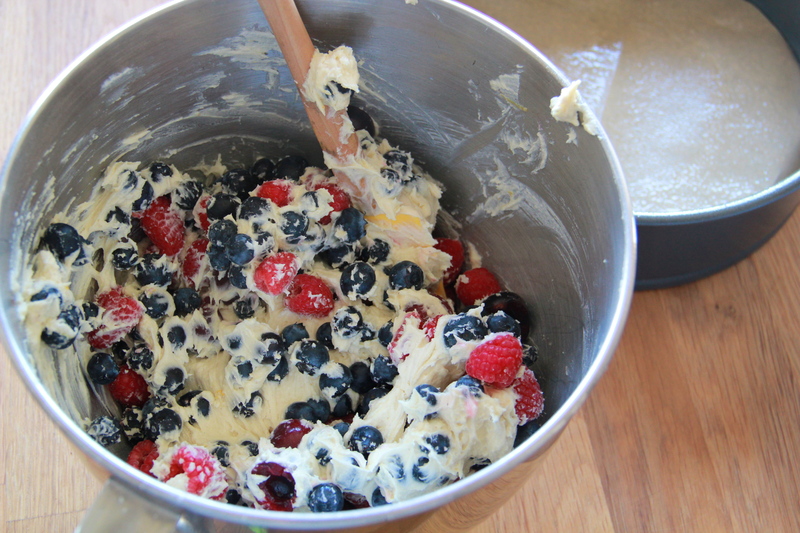 Carefully fold in the berries, then transfer the batter to the prepared pan. Gently spread the batter to reach the pan edges, then sprinkle the streusel evenly atop, squeezing it with your fingers before sprinkling to form different sized clumps. Bake the buckle until a toothpick inserted into the center of the cake comes out clean, 50-60 minutes, rotating the pan halfway through. Allow the cake to cool on a wire rack, then release the springform pan. Cut into wedges and serve warm or at room temperature. The buckle will last, well-wrapped at room temperature, for about 3 days. Serves 8-10, depending on how thick (or thin, but really? Thick.) you slice it. I love the flavour of buckwheat! Buckwheat crepes are my absolute fave, but I haven’t really baked with it before. Looks awesome. PS ice cream for breakfast? totally fine. Berry nice! Love this post! FYI: If you had been a boy, your name would have been “Crisp.” And you would have been so popular.